The illegal jade mines in the northern Kaczin State are the product of a new gold rush. The miners, deluded by the dreams of stunning fortunes, put their lives at risk, day after day, to look for the precious ore. The region, suffering from political conflicts, is the place where territorial and economic interests collide, exposing the geopolitical problems of the country. The reality of the illegal, opencast mines was also the subject of Midi Z's last film, "Jade Mines," screened at the 9th Five Flavours. This time, the director shows this subject from a fundamentally new, personal perspective of his older brother, whom he has not seen in over 20 years. It is not a cold record of the everyday lives of the miners, but also an intimate, emotional family story, in which the author tries to rebuild his relationship with De-chin and understand his brother's choices. The film also features some topics the director took up in his previous films, including drug addiction which he focused on in "Ice Poison" (8th Five Flavours). The film was made with footage shot in difficult conditions and with a moderate budget. 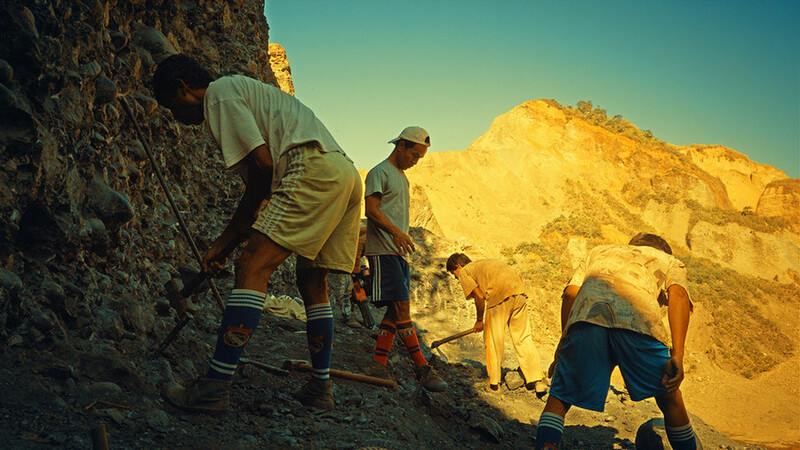 Since his professional equipment was confiscated in this extremely militarized region, Midi Z used the GoPro cameras he gave to the miners working for his brother to document their everyday chores – in this way he opened the documentary to an individual, internal perspective, blurring the lines between the observer and the observed. The small cameras also helped to overcome the distance between the brothers, which grew with the passing years.